More than three hundred authors who are scientists by day. Twenty-nine chapters, summarized into key messages around water and agriculture and energy and people and the economy. Eight peer reviews. Countless workshops across the United States. For two years, climatologists, including two from the University of Nebraska-Lincoln, worked on the Fourth National Climate Assessment, an assessment of climate change across the United States, released late last month and followed by a media flurry. “It was a process,” said Martha Shulski, director of the Nebraska State Climate Office and associate professor with the School of Natural Resources at Nebraska. The NCA4 Volume II examines the impacts and risks of a changing climate on the United States, with an emphasis on regions. It also looks at adaptations people and communities have made in response. Shulski and Hayes were integral to the development of the chapter dedicated to the Northern Great Plains, which covers Montana, Nebraska, North Dakota, South Dakota and Wyoming. In addition to writing and editing chapter 22 along with 10 other scientists from the region, they also were responsible for garnering stakeholder input on impacts already being felt across the five-state area; and helping generate and develop graphics to help tell the story. Highlighted in those efforts are Nebraska’s Platte Basin Timelapse Project and the National Drought Mitigation Center at SNR, as well as eight individuals and groups across the region who are taking steps to adapt to climate change (see Figure 22.1 available by clicking here) and to build their resilience to increasing climate variability. To do it, the authors needed to first gather input on the local issues people were experiencing. Changes in precipitation patterns, coupled with warmer temperatures, and a potential for more extreme rainfall events will exacerbate water supply and management challenges, potentially affecting the health of people, crops, livestock, ecosystems and energy. Rising temperatures and an anticipated increase in extreme-weather events will negatively impact agriculture in parts of the region, requiring a shift in ag management practices. Shorter snow seasons, lower summer streamflows and higher stream temperatures will continue to negatively affect ecosystems, which in turn will negatively impact local economies dependent on those recreational or tourist opportunities. Climate change and extreme weather events put fossil fuel and renewable energy production infrastructure at risk. Indigenous peoples’ livelihoods, economies, sacred waters and plants will be at high risk from a variety of climate changes, including decreased water supplies and extreme weather events. But for Shulski, this is the point where the Nebraska State Climate Office, the High Plains Regional Climate Center, the Center for Advanced Land Management Information Technology, and other university and state organizations focused on climate and water and remote sensing come into play. Up next is a Nebraska statewide rollout of the report planned for March 21 at Innovation Campus. Shulski, who is working with Nebraska Extension to coordinate the effort, said the rollout will be a step forward in continuing to find and build common ground from which Nebraskans can tackle climate changes issues facing the state together. Three climate groups call the School of Natural Resources home, so when two of its climatologists play an important role in a national report, other climatologists get pulled into the action. Natalie Umphlett with the High Plains Regional Climate Center at SNR, and Tyler Williams with Nebraska Extension, both helped execute listening sessions with Northern Great Plains stakeholders from a variety of social, economic, political and geographical backgrounds. Doug Kluck, University of Nebraska-Lincoln alum and National Oceanic Atmospheric Administration Regional Climate Services Director for the central region, acted as the federal coordinating lead for the Northern Great Plains chapter. 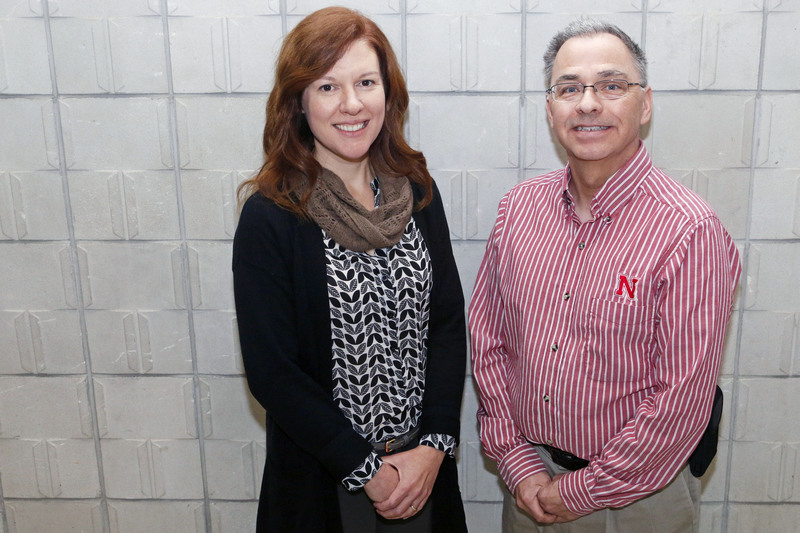 Kluck currently serves as a member of the Earth and Atmospheric Sciences Department alumni board at Nebraska. "I was privileged to work with Martha and Mike on the most recent National Climate Assessment as the Coordinating Lead Author,” he said via email on Monday. “Their climate experience and unique knowledge certainly strengthened the report in regards to the Northern Great Plains and especially Nebraska. The information contained in the report is essential for informing adaptation and planning in the coming years as the impacts from climate change continue affect us." The next National Climate Assessment will be produced in 2021-22, as is mandated by federal law. To learn more, click here. Explore the complete National Climate Assessment online. To access the Northern Great Plains chapter in entirety, click here.